Eating a healthy meal is one thing to do to maintain a healthy body. That is not the only benefits, healthy food also influences good impact for your mood on daily life. So, what kinds of healthy food menu that can help us to keep our body fit? That is probably one of the frequently asked questions that we may heard often. Actually, it’s not about the food menu that we should know, but the ingredients and how to cook it. Food ingredients consist of vegetables, fruits, spices, and so on. While the way food processing can be cooked, boiled (stew), baked, grilled, toasted, and so forth. According to nutritionists, healthy foods are foods that contain substances needed by the body in the appropriate dosage for consumption every day. Late last year the Food & Nutrition Conference & Expo forum in Chicago, America was attended by more than 13,000 nutrition experts, the Washington Post reported (19/12). They work together to study food and research nutrition and food-related innovations. After After going through some debate, finally found one of the healthy way of processing food is to boil the food. Because by boiling, the content of food substances will be more contained. 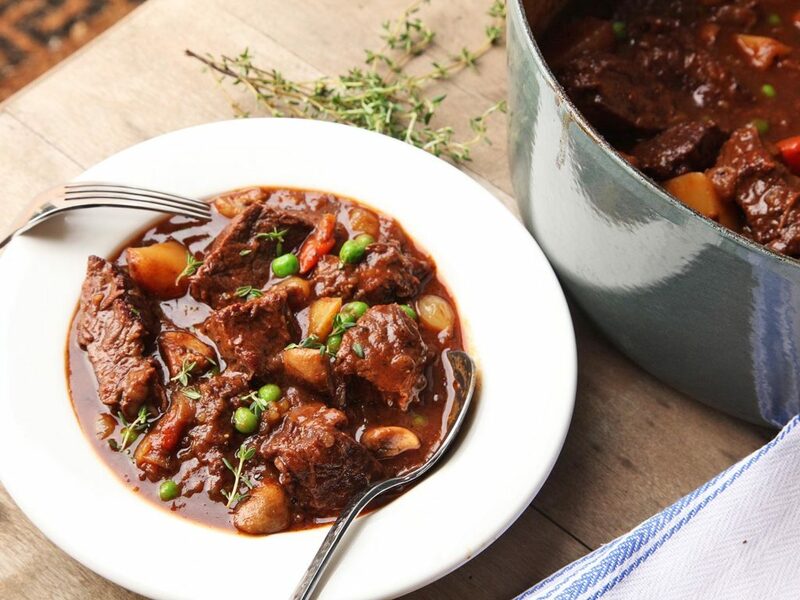 Here, we want to share a healthy food recipe to you for Mama Pre’s Special Beef Stew. Turn the meat every 5 minutes until flattened on all sides. Remove the beef from the pot after browning. Add onions, garlic, and balsamic vinegar to the pot. Stir often, make sure to scrape the brown bits from the bottom of the pan. Cook for about 5 minutes and then add the tomato paste, cook for a minute more. Add the beef back to pan, including its juices. Sprinkle with flour and stir until the flour is dissolved. Add the wine, beef broth, water, bay leaf, thyme, and sugar. Stir and then bring to a boil. Cover the pot with a lid and transfer to the oven. Braise for 2 hours. Remove the pot from the oven and add the carrots and the potatoes. Put the lid back and put it back in the oven for an additional hour. If the meat is tender, the broth is thick, and the vegetables soft, you are ready to enjoy!